Former Leeds United defender George Swan is hoping to kick-start his career following his move to Wolverhampton Wanderers from Manchester City. The Normanton lad left City at the end of last season and signed a short-term deal with Wolves in the hopes of winning a longer-term contract. Twenty-year-old Swan has gone into Wolves’ U21s squad under the guidance of academy coach Scott Sellars. It is a partnership that Swan is familiar with as Sellars also left his post at City to link up with Wolves in the summer. Swan moved to Manchester City as a 14-year-old in 2009 and became part of the academy development team. It was a promising move for the defender but his time at City was blighted by injury and he spent time on loan at various clubs before his contract expired in the summer. 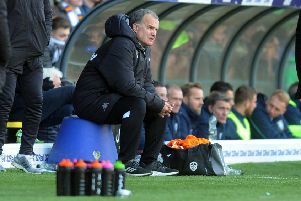 Wolves offered Swan a trial and the defender was determined to make the most of his opportunity. Speaking to Wolves’ official website, Swan said: “Over the last couple of seasons I’ve never really got going and had a run of games, but now I’m feeling ready with a fresh a start here at Wolves.